Having a phone system may sound quaint in this day and age of social media, messengers, live chat, email, smartphones, Slack, Trello, etc. However, sometimes there's nothing like picking up the phone and having a one-to-one conversation with your clients, customers, partners, or vendors to build rapport, accelerate the sales process, or avoid unnecessary misunderstanding. In addition, customers still expect businesses to list a phone number as a way for them to speak to a "real person." Installing a new phone system is a commitment of time and resources so you want to make sure the technology you choose can sustain your business for the foreseeable future. Look at your business plan and envision how many staff members will need a phone line in three to five years. Base on this projection, select a phone system solution that can support your current needs without hindering the growth of your business. Each business has different communication needs. Identify the must-have features before comparing plans and providers so you don't end up paying for bells and whistles that you don't need. For example, do you have a receptionist or will callers be directed to an auto-attendant to reach individual employees? Do you need a conference call or call forwarding feature? 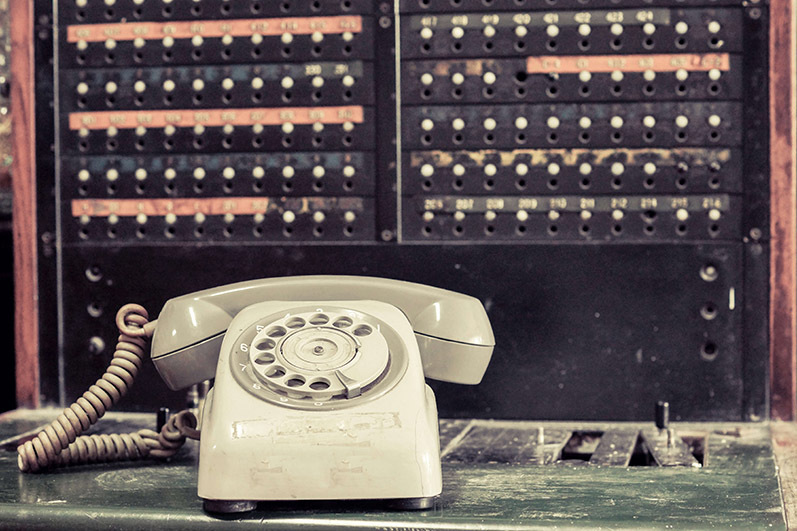 Do you require a voice mail system? Does your business require a traditional phone system that includes physical office phones or do employees have more location flexibility so a virtual phone service that relies on laptops and mobile devices would work better? If yes, you might want to check out the possibility of using a softphone application - they can be a good option for certain types of businesses who don't need physical desk phones. An office with one physical location has different requirements compared to a business with multiple locations. Meanwhile, an organization that has a large remote workforce may have other priorities. How you intend to use telecommunications technology will impact your choice of device and provider. VoIP harnesses the power of the Internet to provide many features such as automated voicemail, conference calls, call recording, and more. It's often less expensive, works on computers, and integrates with a variety of software programs. A virtual phone system is a great option for businesses with many employees working in multiple locations. It operates on an employee's mobile or home phone network while offering many different features. The decision to purchase a new phone system can affect the operation of your business for years to come. However, there's no one-size-fits-all solution when it comes to choosing the right business phone system. You need to consider the pricing structure and weigh it against reliability, security, mobility, support, and features. In addition, IT and telephony are converging. Understanding what this trend means for your business operation can help you take advantage of the technologies and the efficiencies. Here at Ntiva, we're expert in both areas so we can help you integrate your communication needs with your IT infrastructure to save cost while increasing productivity. Request a free telephony consultation to see how you can get the best of both worlds.